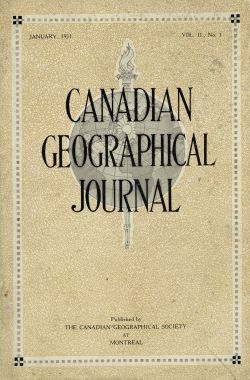 The Canadian Geographical Journal started in May 1930, changed its name to Canadian Geographic in 1978 [ISSN 0706-2168] and is is published six to ten times a year by the Royal Canadian Geographical Society. Our collection is partially complete from Volume I, Number 1 (January 1930) to August 2010 (526 issues). 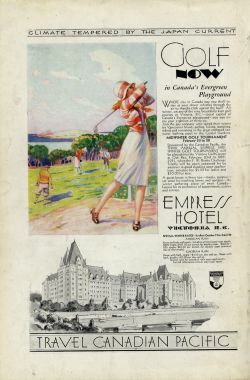 The Society’s aim of "making Canada better known to Canadians and to the world" was announced in the premier issue, and the phrase has since become a motto. The cover of the January 1931 issue is shown here. Indexing: by ACS, partial, is available here.